A wilderness designation prohibits roads, motorized and other vehicles, including bicycles, as well as permanent structures and logging and mining operations. Although scientific research is allowed in wilderness areas, activities that would alter existing ecosystems and the character of the area are prohibited, because a goal of the Wilderness Act of 1964 is to allow ecosystems to change naturally over time without human manipulation. However, some previously existing operations, like mining, cattle grazing and water uses, are grandfathered in and can continue to a certain degree as long as they don’t have a significant impact on the overall area. Criteria for being designated wilderness include that the land be a minimum of 5,000 acres, exhibit a minimal human imprint, have educational, scientific or historical value and contain opportunities for unconfined recreation. Carbajal’s hike along the Fremont Ridge Trail might be an example of unconfined recreation, and it was also educational for the group that ranged from youth to seniors and included a couple of dogs. 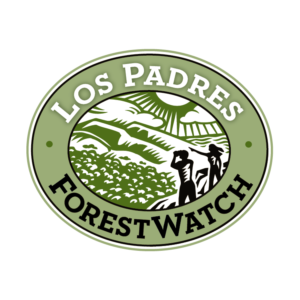 At periodic stops along the route, Los Padres ForestWatch Conservation Director Bryant Baker gave hikers the names and characteristics of the many plants that lined the trail. The first stop included ferns, madrone — sometimes called the cooler plant because of its ability to lower air temperature around it — and miner’s lettuce. Moving down the trail, he pointed out oak woodland in a ravine and tall pines atop a hill that were planted, not adapted to the environment and dying as a result of the drought that gripped the county for the last six years. There were bush poppies, chemise, mountain mahogany — “a really nice little native plant” — as well as black sage, greasewood and buckbrush. Baker made sure to point out poison oak and purple nightshade. “I just want to make sure everyone knows what it looks like,” he said of the poison oak growing in a shaded area alongside the trail. The purple nightshade — small purple flowers with yellow centers — was growing just a few steps away. On the opposite side of the trail, Baker pointed out a large manzanita and the small reddish berries at the tips of its branches. Carbajal volunteered to try one. Carbajal was also a guinea pig for Baker’s demonstration of a natural way to clean the hands. Pulling a handful of blossoms from a ceanothus, he placed the crushed flowers in Carbajal’s hands, then added water. The result was a creamy coating filled with chunks of flower. But it worked. “There you go — native plant soap,” Baker said. He also pointed out nonnative, invasive plants, like the foxtail brome and filaree. Nearing the turnaround point of the hike, a sweeping vista opened on the right of steep mountains dappled with the shadows of drifting clouds and towering above meadows, ravines and a wide valley. Baker pointed to the highest ridge, where the clouds seemed to skim the peaks, and asked if anyone knew its name.